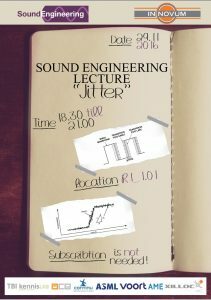 Tuesday the 29th of November we’re hosting a lecture on jitter and clocks! Herbert Rutgers (from by-rutgers.nl) will be the guest lecturer for the evening. He will be speaking about what jitter is, and about his rutgerS’Clock, which can be found in the GrimmAudio LS1, for example.